Thousands back greenbelt campaign for South Hampshire – sign up before 4 December! The Partnership for Urban South Hampshire (PUSH) will decide on adopting a South Hampshire Green Belt on December 4. Charlee Bennett, chief executive of the CPRE said: “We know local authorities are up against it. Government housing targets are increasing and the pressure to deliver is huge. This is why we are delighted that the PUSH leaders have been supportive so far. “We know that at the meeting on the fourth the committee will be looking into the development of a Statement of Common Ground across South Hampshire Planning Authorities, we would like to see plans for a new green belt within this. 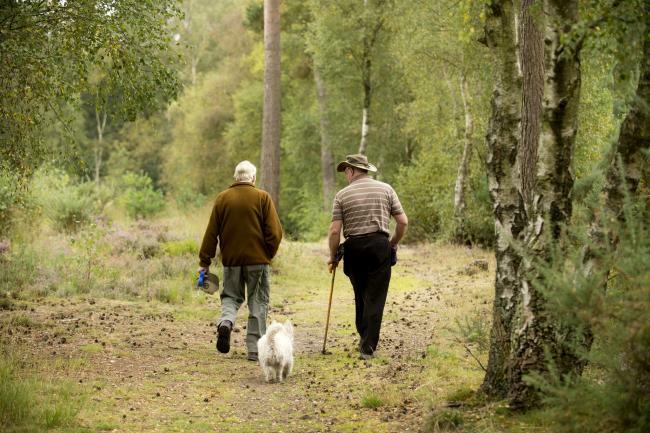 “We all need these green spaces, be it for the morning run, dog walking, escape from the pressures of city living or just for the children and grandchildren to play, they are so important for our mental and physical health and well-being. CPRE Hampshire is calling on the public to show their support and make their voice heard by adding their to the 13,000 who have already signed the petition, calling on council leaders to protect the green spaces they love. Councillor Sean Woodward, a long-time supporter of the Green Belt, will be joined by his fellow elected leaders from south Hampshire to receive the outcomes from a report exploring the “justification for considering a green belt”. The petition will be handed to Cllr Woodward ahead of the meeting. To view this article by Emily Liddell on the Hampshire Chronicle’s website, click here. Your ticket for the: Thousands back greenbelt campaign for South Hampshire – sign up before 4 December!